Good morning! Welcome to The Morning Shift, your roundup of the auto news you crave, all in one place every weekday morning. Here are the important stories about corporate governance best practices and sometimes interesting things you need to know. 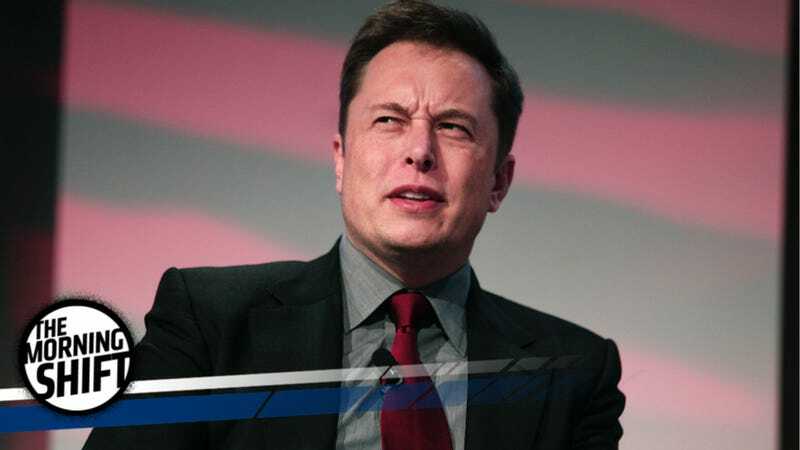 One of the biggest complaints that investors have had about the way Tesla has been run is that its board has been stacked with friends of CEO Elon Musk, the One True Star Boy, who believe he is also the One True Star Boy. And while that title is fun for blogs, having your board stacked with friends and relatives probably isn’t best for corporate governance. While that’s great and all (having a black woman on a corporate board is still exceedingly, depressingly, especially rare) there are two things about this move that are weirding me out slightly. First, getting two people from the media world to help run a car company is a bit odd, unless you’re extraordinarily thirsty for good press. Secondly, publications like the Wall Street Journal should now have to put a disclosure on every story they write about Tesla and SpaceX, thanks to James. And thirdly, if you’re worried about too many close ties on a corporate board, why would you then appoint two people whose careers were launched, guided, and anointed through family connections? A U.S. House subcommittee will vote on Wednesday on a sweeping proposal to allow automakers to deploy up to 100,000 self-driving vehicles without meeting existing auto safety standards and bar states from imposing driverless car rules. The measure, which would be the first significant federal legislation aimed at speeding self-driving cars to market, would require automakers to submit safety assessment reports to U.S. regulators, but would not require pre-market approval of advanced vehicle technologies. There are no blustery threats of trade wars. No promises to scrap the deal. None of our traditional demand of tribute from Canada in exchange for no crushing them with our mighty army this year. Navya, the French maker of self-driving shuttles, will set up its 20,000-square-foot production facility in Saline. Once the operation is up and running, the facility will produce 25 of its Arma shuttles before the end of the year. Navya’s $1 million-plus investment plan is expected to create 50 jobs. Let’s hope it’s more than a nice start, and the autonomous bus-thing becomes an actual Thing. Workers at the Fiat Chrysler plant in Serbia continued protests and will seek help from President Aleksandar Vucic after Premier Ana Brnabic said their strike was politically motivated and 320 jobs may be lost as a result. Production at the plant in Kragujevac, central Serbia, was halted on June 27, endangering the company’s goal to produce 85,000 cars this year. It now builds 440 cars a day. Unions are demanding an 18 percent base salary increase, better working conditions and additional workers to meet the goal. Though I admittedly know next to nothing about what is surely an immensely complex situation in Serbia, as a Yugo owner I must say that, by default, I am proud to stand with the Glorious Workers of Serbian Fiat Weirdness. All Hail the Workers. Neutral: Who Should Be On Tesla’s Board Instead? Tesla already gets a ton of press. Maybe someone from the supplier world?